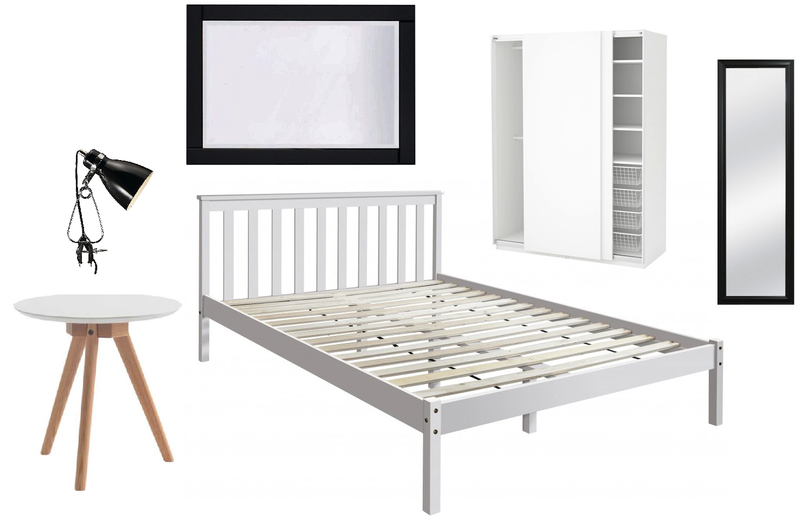 As I mentioned in my home decor plans for 2016 post one room that I'm really keen to get finished is my bedroom. This has always been one room which I have started and never got round to finishing from how it originally looked when we moved in to shabby chic last year and now a scandi monochrome theme. I am determined to get the bedroom completed this year and not have it all mix and match. I desperately want to buy a new bed and mattress as the bed is a king size and as much as it's nice to have the room it does take up a lot of space in the room. I've had my eye on a white wooden bed frame for the longest time now but just haven't the energy to get rid of mine yet. The mattress is really thick too which makes the bed really high, so I'd like to buy a thinner one. The next thing I want to sort out is the wardrobe. I got rid of my chest of drawers last year as they were taking up a lot of room and I wanted to put a desk in corner instead however I am now limited to space. Ideally I'd have a walk in wardrobe or one with sliding doors but as I rent that's not possible. I do however need to buy a new wardrobe with some sort of storage instead of just rails as my current one lacks it, although it's really nice, I do want to buy a white one instead. I would love a chandelier above the bed but I think I'd need to mess around with the wiring so I'd need to ask the landlord or get someone in to do it as I daren't do anything myself these days after all of the mishap DIY jobs I've done over the years. For the longest time I've wanted to do something with the space above the bed but just can't decide what. I would really like to hang up an Ikea picture ledge and add some photo frames and decorative bits to it but there are wall sockets behind the bed and after my last disaster at drilling through a wire I definitely won't be touching it! I think I may get a nice black and white photo printed on canvas of myself and the kids or some nice quotes and black and white photos in frames, I haven't quite decided yet. I love the side table! Im hoping to finish our living room and bedroom this year. I love the monocrome look, but im too restless (as in i like too many colourful things) to actually pull it off! We're moving from a rental to our own home soon. So, it's been hard to really decorate, but I've been pinning lots of inspiration and making shopping registries. 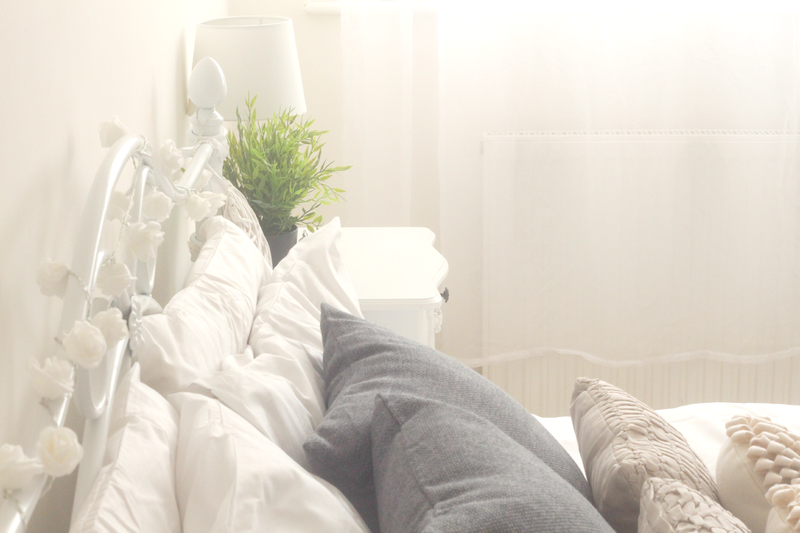 Oh your bedroom will look so lovely. Sometimes bigger isn't always better. We are doing a lot of simplifying in our house this year too as there is no storage. Things like way too big of a sofa need to go! lol Best of luck love the style as always.